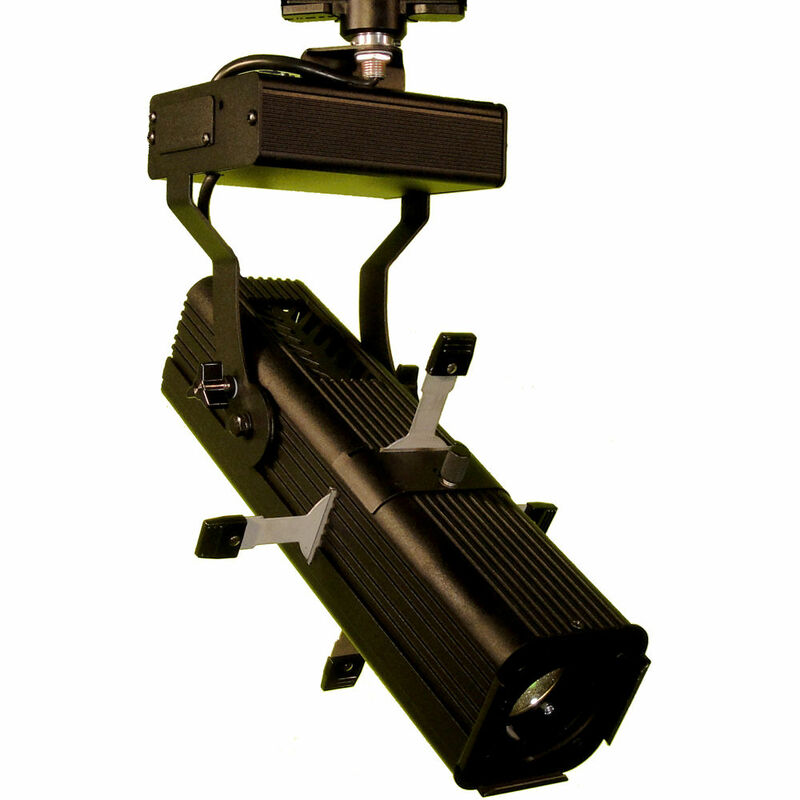 The black, 277V ME4 Plus LED Ellipsoidal from Altman packs many features into a small package. The anti-reflective, 20-40° dual-lens zoom gives the 2700K tungsten and balanced output a wide-to-long throw capability. Focusing is especially smooth, allowing crisp projection of E-size glass or metal gobos, while four framing shutters allow you to put light where you want it while keeping it off the areas you don't. The ME4's small size and reasonable cost makes it a natural for museums, architectural interiors, and other public venues. This is a non-dimming fixture; please consult the website for DMX and 0-10V dimming versions of this light.